It’s been quite a year, for all of us! And we think we need an event to celebrate and mark the end of 2018 in style! Come and join us for a delicious vegan Christmas dinner (menu options below), wine, music and a lot of laughs in the fabulous Coast Kitchen & Bar in Tynemouth. Let’s celebrate an incredible 2018 together and welcome in 2019! Book your spot and join us or why not gather a few friends together. Indulge in the menu and select one starter, main and dessert from the course options below. The sides will be provided on each table. Once you’ve booked your ticket, please email lisa@daretogrow.co.uk with your name and menu selection. 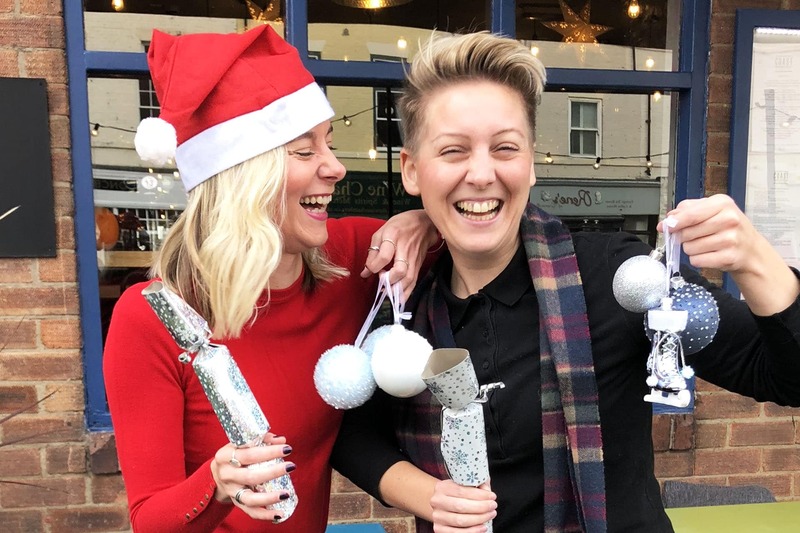 This year, we’ve ditched the usual Christmas quiz and created our very own personal development quiz! We thought you’d like that! Swat up on your favourite authors, speakers and healers because we’re about to find out which team knows the most! 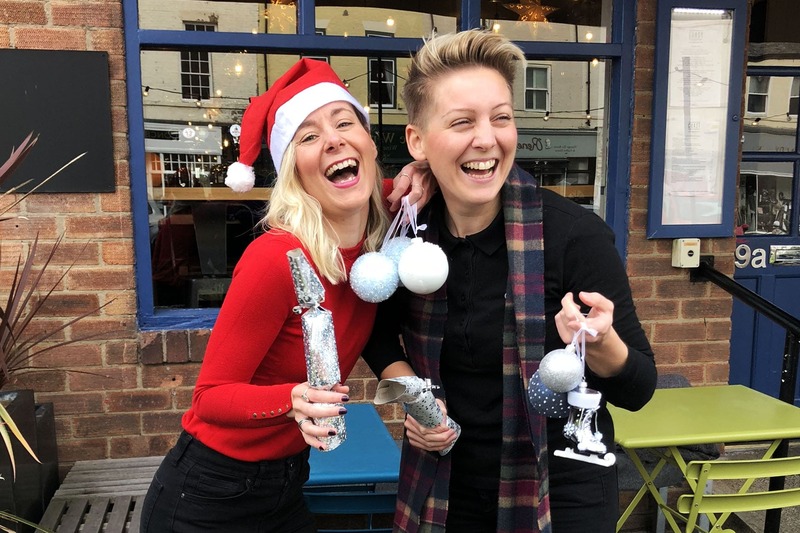 COME AND BE PART OF A CHRISTMAS PARTY UNLIKE ANY OTHER – CHRISTMAS WITH LISA AND ALICE AT COAST KITCHEN AND BAR. We’ve booked out the wonderful Coast Kitchen and Bar with the owner, our lovely friend Rachel. It’s on Front Street in Tynemouth, Newcastle. There will be a 3-course sit down Christmas meal. Have you seen the menu above? Wow! Glass of wine included too. Ooh whatever you fancy! Christmas frocks, glitz and glam welcome! Anyone and everyone! If you’ve met us in person, you’ve been to one of our events or you’ve been following us on social media then you’re invited! Come and hang out with us and lots of likeminded people to end the year in style! There are lots of lovely B&Bs available in Tynemouth if you’re thinking of travelling to join us!